The United States has turned over a collection of newly classified documents on the 1976 car bomb murder of Orlando Letelier and his American colleague, Ronni Moffitt in Washington in 1976. Letelier was a former Chilean ambassador to the United States and cabinet minister under the socialist government of Salvador Allende (1970-73); he and Moffitt worked at the Institute for Policy Studies, a left-leaning think tank. 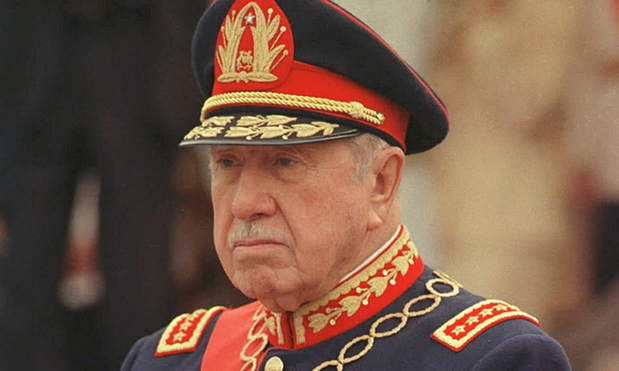 A subsequent grand jury investigation resulted in an extradition request for the head of the Pinochet regime’s security agency, Colonel Manuel Contreras and two other Chilean intelligence agents—which the regime rejected. He was the terrifying fist in the dictator’s glove, but even the dictator was afraid of him. Manuel Contreras, the Chilean army officer whose secret police agency, the Direccion de Inteligencia Nacional (DINA), brought a new level of fear and terror to Chileans at home and abroad. died in Santiago’s Hospital Militar, the same facility where General Augusto Pinochet died in 2006. 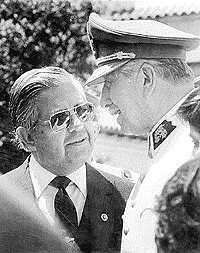 It was just a few months after the 1973 military coup that ousted President Salvador Allende, a socialist, when Contreras appeared at a meeting of Chile’s military commanders, cabinet and the intelligence directors of the army, air force, navy and national police, the carabineros. Pinochet announced that then-Colonel Contreras would be heading a new security agency, the Direccion de Inteligencia Nacional (DINA). Some of the officers expressed misgivings—the country was already under tight control, a state of siege was in effect and political prisoners were being rounded up and in many cases executed, so why the need for even more security services? The carabinero intelligence director, General German Campos, thought the new agency sounded like “a bunch of vulgar bodyguards” reminiscent of Salvador Allende’s Cuban-trained security detail. Contreras’ DINA, which reported exclusively to Pinochet, proved to be much more than a group of bodyguards and would enable Pinochet to maneuver his way from one of four junta members to Supreme Leader of the Nation. Drawing officials from all the branches of the military, plus right-wing civilians, the new security agency expanded its tentacles, organizing secret detention centers throughout Chile. Every government ministry had its DINA informants; former junta member and air force commander General Gustavo Leigh told this blogger that he was surprised to discover a DINA agent working in his department. The junta’s press secretary once found that DINA agents had broken into his office and stolen press credentials, in order to disguise themselves as journalists. Contreras ingratiated himself with Pinochet’s wife Lucia, and obliged when she asked him to tap the phones of other military wives. His most ambitious project was Operation Condor, a joint security program with the military regimes of Argentina, Uruguay, Brazil, Paraguay and Bolivia to monitor and eliminate leftists and any former officials who might prove troublesome. Chileans who had fled their country and found refuge in Argentina were arrested and made to disappear. María Cecilia Magnet was kidnapped, along with her Argentine husband, Guillermo Tamburini, at their home on July 16, 1976. Luis Elgueta was arrested 11 days later with his wife and sister-in-law. None were ever seen again. 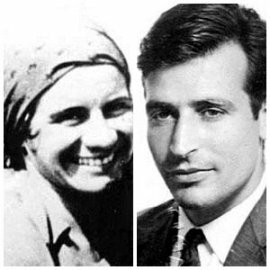 Cecilia Magnet and Guillermo Tamburini, who disappeared in Buenos Aires in 1976 and were never seen again. General Carlos Prats, Pinochet’s former army commander, was killed with his wife in a car bomb explosion in Buenos Aires in 1974. Two years later former defence minister Orlando Letelier and his American co-worker were killed by another car bomb in Washington, D.C., sparking an FBI investigation leading to a U.S. extradition request for Contreras and two other DINA officials. Pinochet refused the extradition request, and reorganized the DINA into a supposedly more benign agency, the Central Nacional de Informacion (CNI). Pressure from Washington continued, and Contreras was finally removed, though not before Pinochet promoted him from colonel to general. A series of suspicious bombings rocked Santiago, which the carabinero police investigated and found to be the work of Contreras’ agents. As civilian Contreras formed a private security agency headquartered in downtown Santiago, and many suspected he continued to do jobs for the Pinochet regime. He was also on the board of a private company, Telefonica Manquehue, which received an exclusive contract to provide phone coverage in one of Santiago’s expanding eastern neighborhoods. (This blogger lived for a time in this area—and the service was terrible.) But change was coming to Chile, and in 1988 Pinochet lost a one-man presidential plebiscite and would be forced to hand over the government to an elected civilian. Pinochet did eventually cut Contreras loose, but it would take years and the new civilian governments were wary of provoking a rebellion by the Chilean army, which Pinochet still controlled. Chile’s Supreme Court, which had rejected the U.S. extradition request, reopened the Letelier case in 1991. Four years later Contreras was sentenced to seven years in prison for his role in the double murder, and it would take several months of negotiations with his lawyers and family before Chilean officials could finally take him into custody. He was sent to the Punta Peuco prison north of Santiago, specially built to hold human rights violators. More investigations by Chilean prosecutors followed, and at the time of his death Contreras was serving combined jail sentences of over 500 years. Poverty levels in the country have declined from 15 to 14.4 percent, and extreme poverty has declined from 3.7 to 2.8 percent, according to the National Socioeconomic Survey, whose Spanish acronym is CASEN. The report http://www.ministeriodesarrollosocial.gob.cl/noticias/2012/07/20/casen-revela-baja-de-la-pobreza-en-chile was presented by Chile’s Minister of Social Development, Joaquin Lavin, and almost immediately questioned by opposition groups citing other studies. Radio Cooperativa and the Imaginaccion polling company (http://www.imaginaccion.cl/) released a poll showing nine out of ten Chilean surveyed thought that social inequalities were not decreasing http://www.cooperativa.cl/nueve-de-cada-10-chilenos-no-cree-que-la-desigualdad-este-bajando/prontus_nots/2012-07-23/222402.html. On Tuesday Chile’s Servicio Medico Legal announced it had identified the remains of four men arrested in two separate incidents in 1976 http://www.sml.cl/sml/index.php?option=com_content&view=article&id=241:sml-identifica-victimas-halladas-en-cuesta-barriga&catid=35:identificacion-y-ddhh&Itemid=222. The four—a mining expert, a university professor, a trade unionist and an engineer­­—were killed after lengthy, brutal interrogations at a secret detention site operated by the Pinochet regime’s secret police agency the DINA. (This particular site was incongruously named after the Venezuelan independence hero Simon Bolivar.) Their bodies were thrown down an abandoned mine located on a road between Santiago and Valparaiso. Two years later, in a notorious maneuver known as Operation TV Set Removal, Pinochet regime security agents exhumed these and the bodies of other dead political detainees, tied them to metal railings and tossed them into the Pacific Ocean. Investigators later discovered some 200 bits of bone fragments at the mine, which after years of forensic examinations and genetic testing at a laboratory in Innsbruck, Austria yielded the men’s identities. Their funerals were scheduled for this weekend. Recently the Chilean public was treated to the extraordinary story of Jorgelino Vergara, a man who survived extreme poverty in the country’s rural south and became a civilian employee of the DINA, working at the Simon Bolivar site after serving as servant at the home of DINA chief Manuel Contreras. 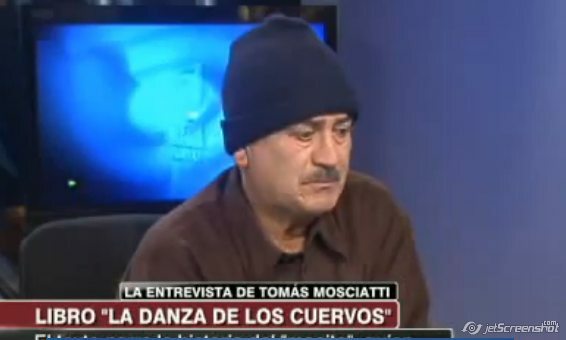 A book about Vergara’s life, La Danza de los Cuervos, or The Dance of the Ravens, was published last month and he was later interviewed on CNN-Chile. Vergara was one of a dozen children born to an impoverished campesino family. By the time he was five both parents had died and he went to live with an older brother employed on a large agricultural estate. He grew up during the governments of Christian Democratic President Eduardo Frei (1964-70) and Socialist President Salvador Allende (1970-73) but neither administration’s land redistribution or agrarian reform programs had any effect on his family’s fortunes. Vergara’s brother had nine children of his own and the family was squeezed into three rooms in a shed-like building used to house farmworkers. He had little schooling, and was often hungry. Several years later he followed another brother to Santiago, searching for work and became a live-in servant at the home of a senior Chilean military officer—who just happened to the second-most powerful man in the country. It was the first time in his life he had access to adequate food and shelter, and Vergara was later promoted to a job at the detention center, where almost no prisoners ever emerged alive.